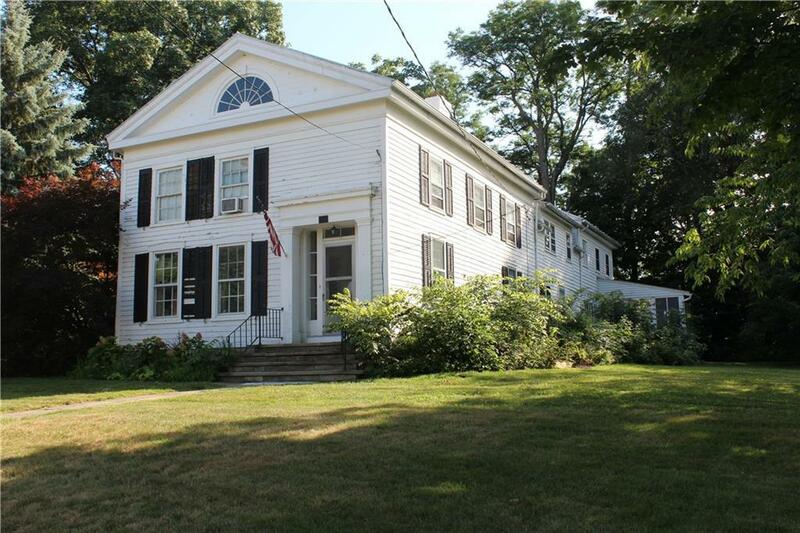 Incredibly spacious, this stately home located in the Village of Westfield is just two blocks from downtown's restaurants, shops, park, and more. The living room alone is 16 x 35 feet with one of the 4 fireplaces, built-in cabinets and beautiful plank floors that run throughout the home. The large formal dining room features 2 built-in corner cabinets. The library also has built-ins and fireplace. Upstairs has 4 large bedrooms, with a potential 5th currently used as a walk-in closet. There is also a large sitting room at the top of the back stairs. Plus 3 full baths. And there are 2 half baths downstairs, including one with laundry. The kitchen features cabinets with pull out shelves and center island, plus a pantry/prep area in the entry. Spacious and gracious living at it's best.